It took two weeks to reach 500.000 deliveries. Operation Big Sur, our first World of Trucks event with a shared goal for the player community, has been a huge success. 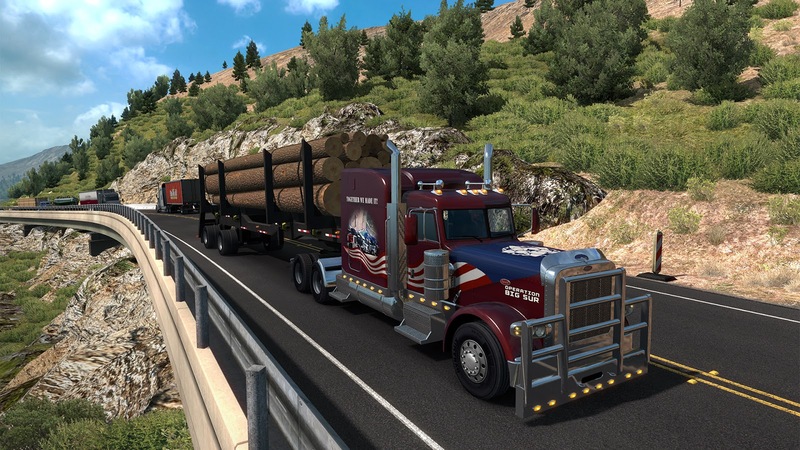 Players of American Truck Simulator have exceeded the number of 500,000 deliveries required to clear up and re-open the section of California Highway 1 blocked by last year's landslide at an incredible speed. We are happy to confirm that the bulk of the work is complete now, and after a short inspection by the authorities, the road will reopen soon! We know that the truck sim fan base is very active, but we have been still surprised by the enthusiasm and commitment of the community. Immediately after the event's launch, thousands and thousands of individual players, as well as many VTC's, came to help, often going beyond the requested quota. Our twitter with the #OperationBigSur tag and all social media have gone ballistic with so many reports and cool pictures illustrating the effort. The strong team spirit has been raised even more by a steady stream of music carefully picked for you by our friends at TruckersFM radio. Thanks, everybody, and congratulations! Our system should now automatically grant all the event participants who qualify (with at least 5 deliveries completed) the second part of the reward - a unique paint job commemorating the big task we have pulled off together. To allow the road inspectors enough time to do the job right, and frankly, to give the last chance to finish their deliveries to many players who have approached us in the past couple of days, we are not shutting down the event system yet. Your speed has taken by surprise not only us, but also many other fellow truckers, and we have received a ton of requests to keep registering the deliveries for a time even after the 500K mark is crossed. If you have finished your 15 deliveries, enjoy your reward now, and relax at last - there are many more great routes in American Truck Simulator (and Euro Truck Simulator 2) that you can now explore stress-free again! On the other hand, if you are a couple deliveries short of your personal goal, we are still giving you a chance to earn your reward, too. The event system will keep registering Operation Big Sur deliveries until July 15, 23:59 UTC. The road should be reopened the next day with an automatic American Truck Simulator game update.